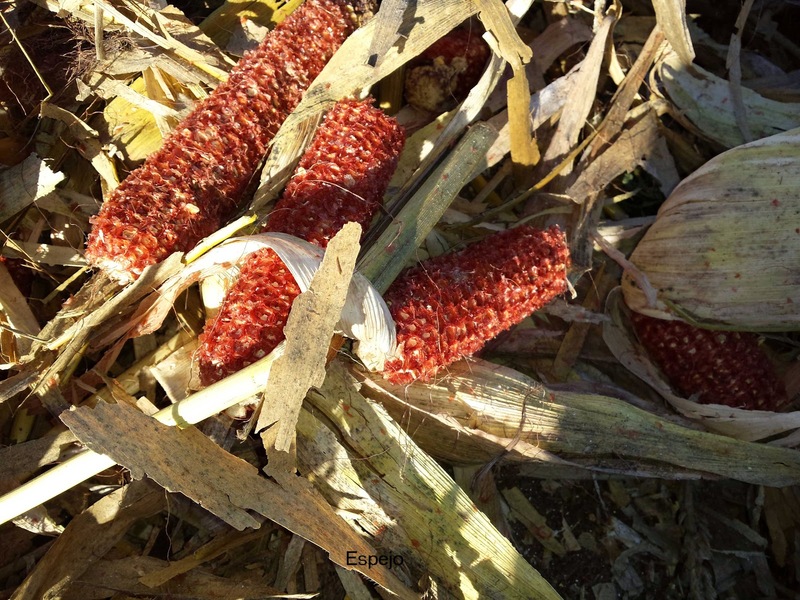 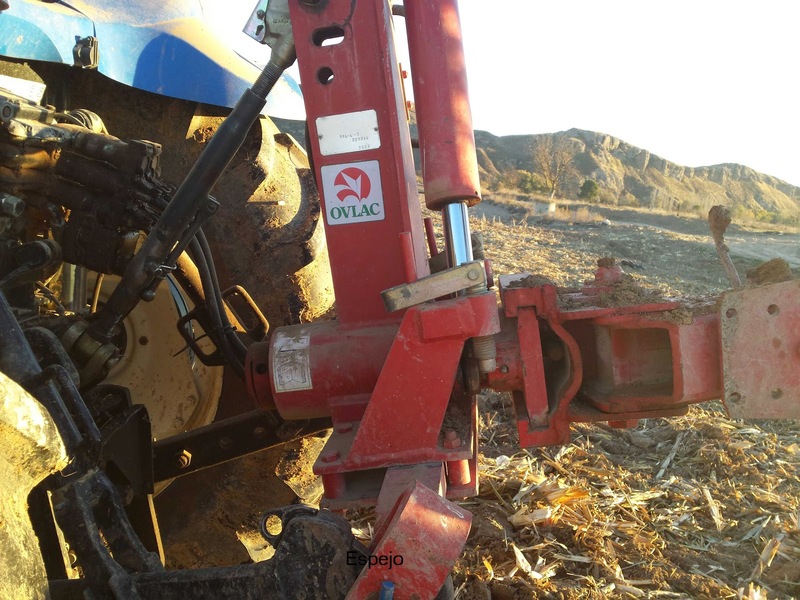 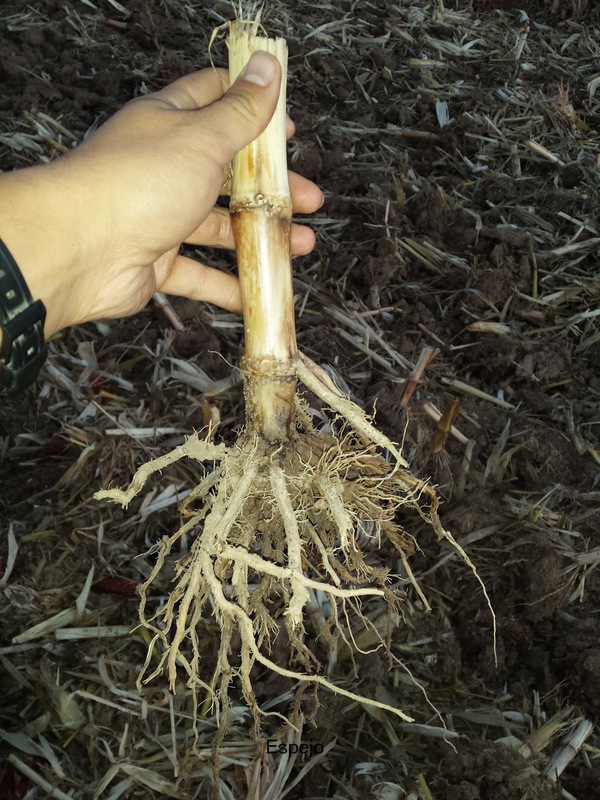 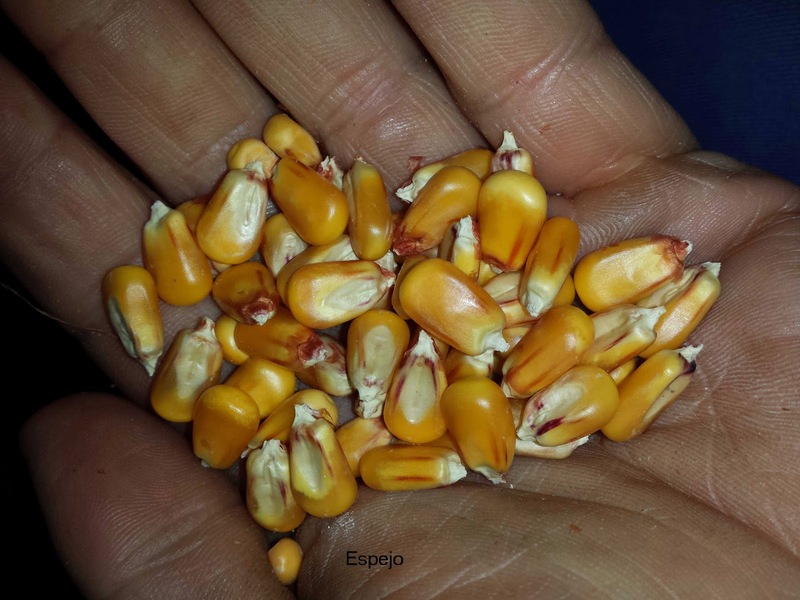 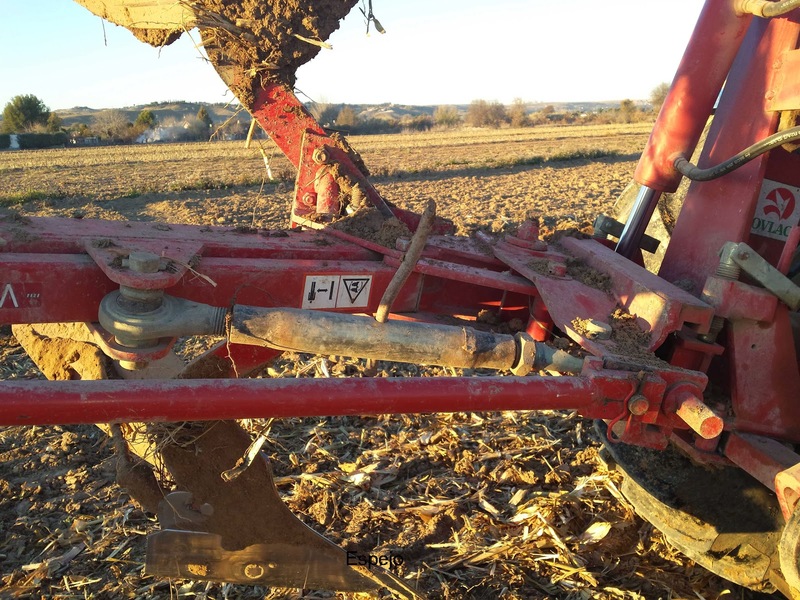 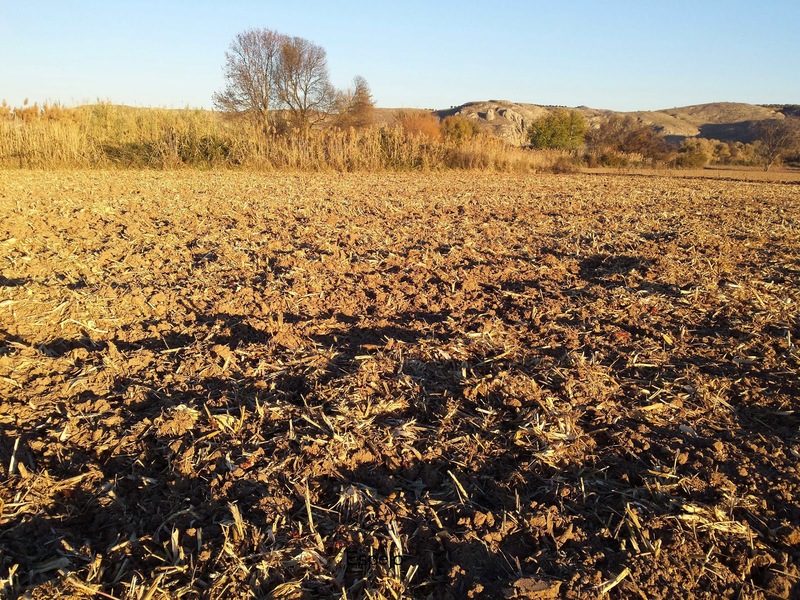 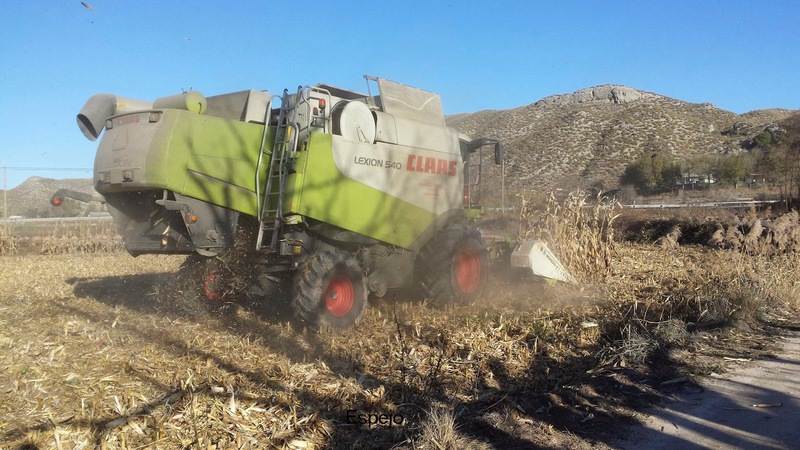 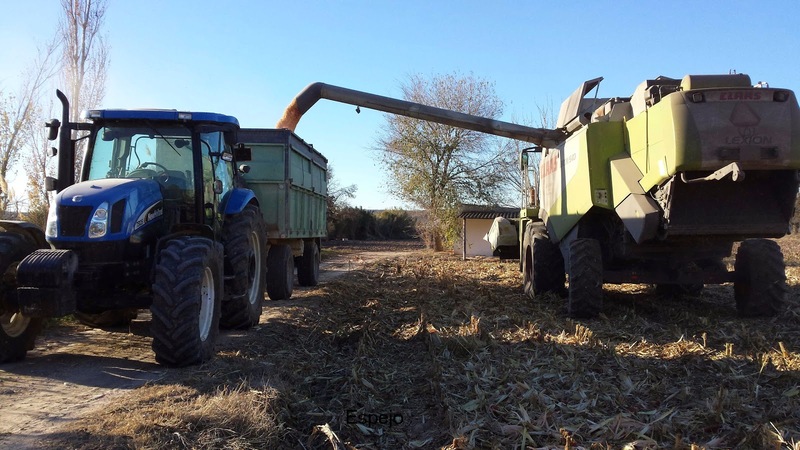 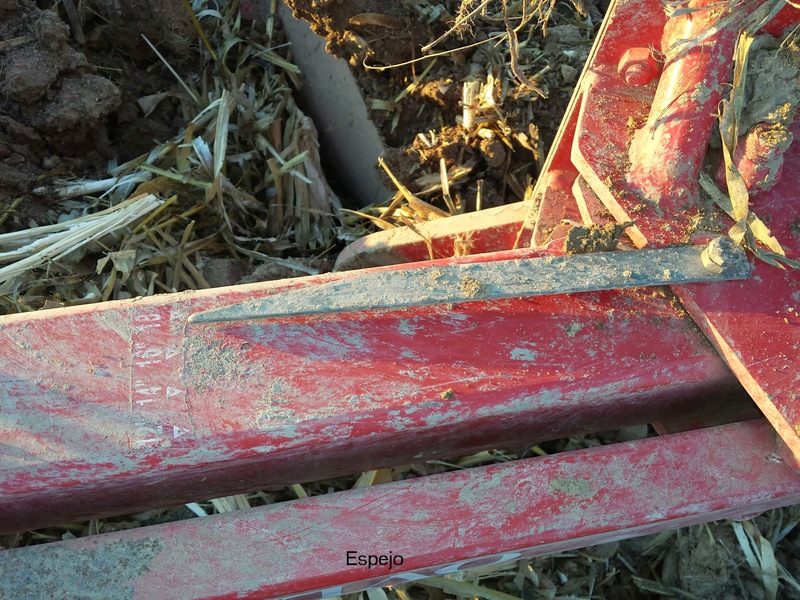 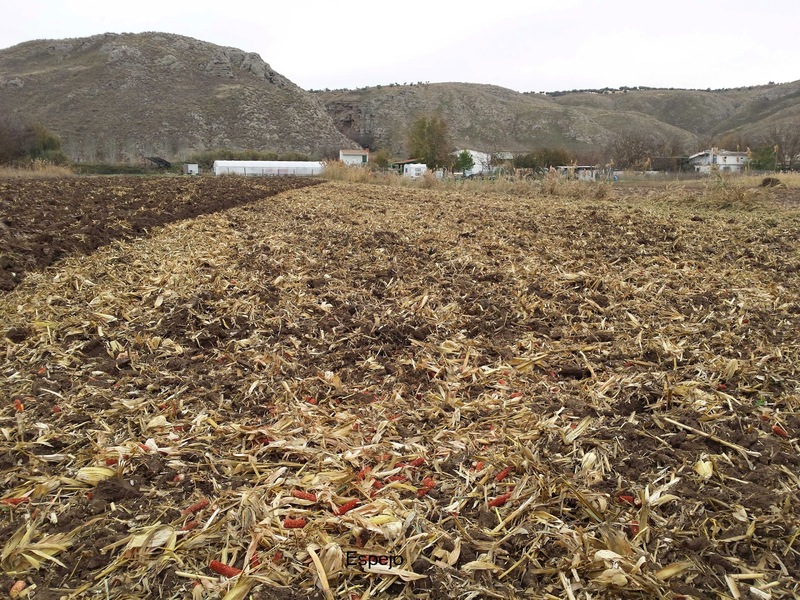 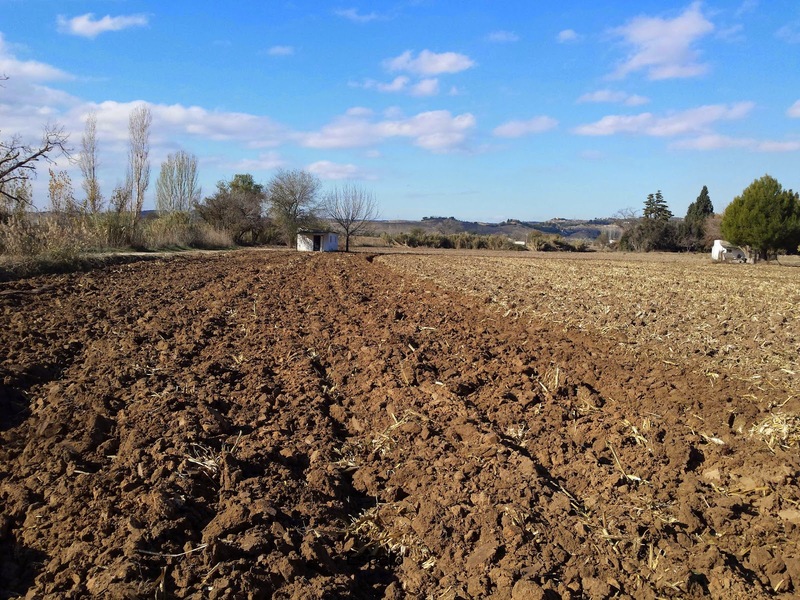 Last April, our friend and follower Miguel Ángel (alias "Espejo") sent us a few pictures about his sowing corn tasks in the meadow of the Tajuña river (Madrid). 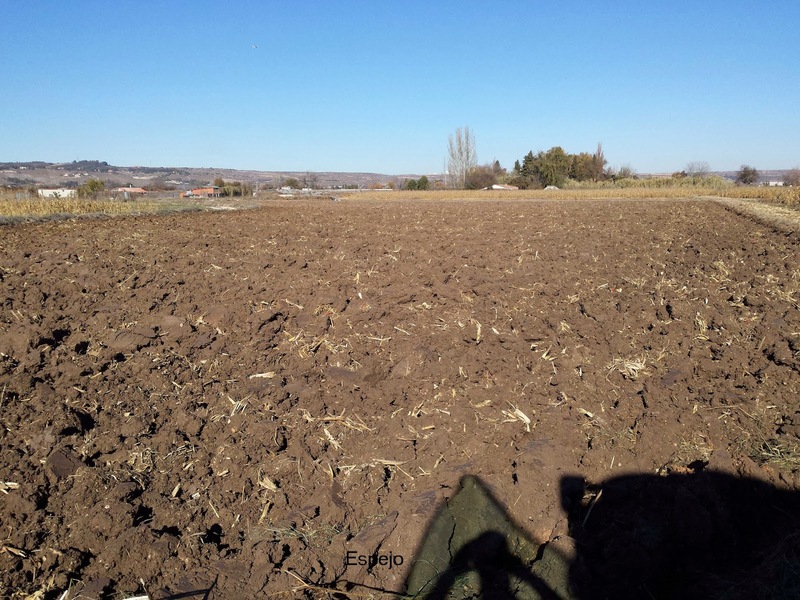 After seven months, he sents other pictures about the same fields, although, at this time about harvesting jobs (we spoke about that in the last year too). 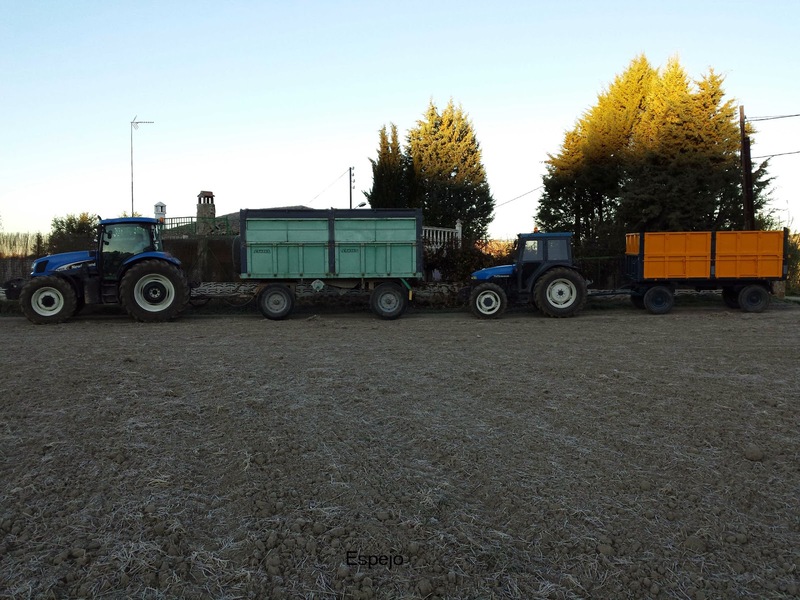 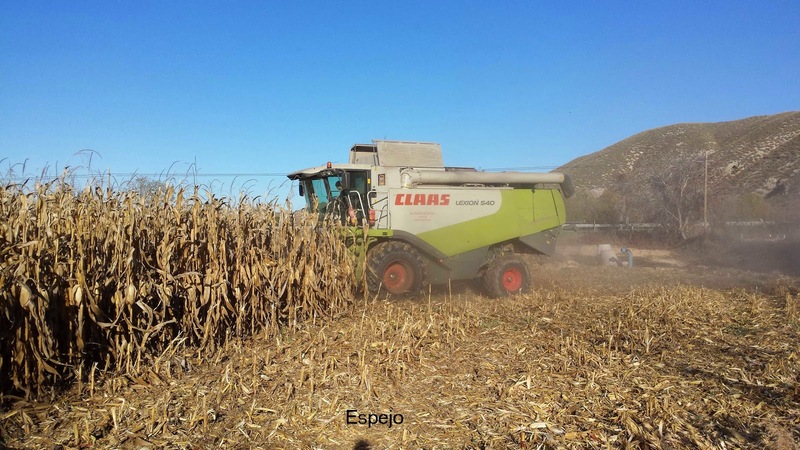 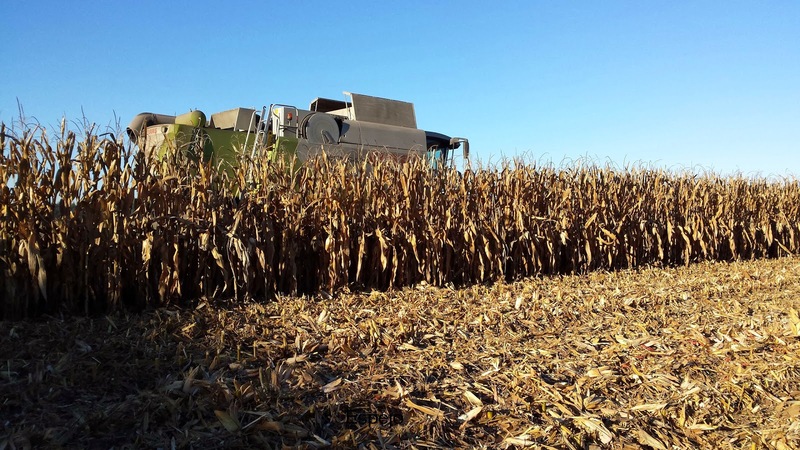 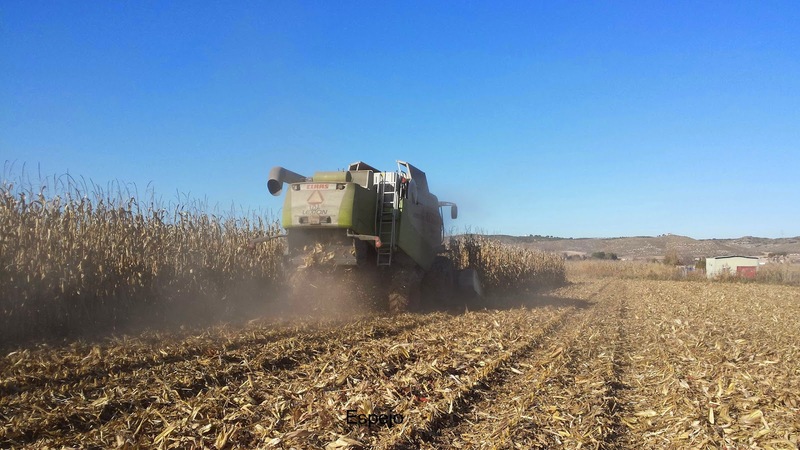 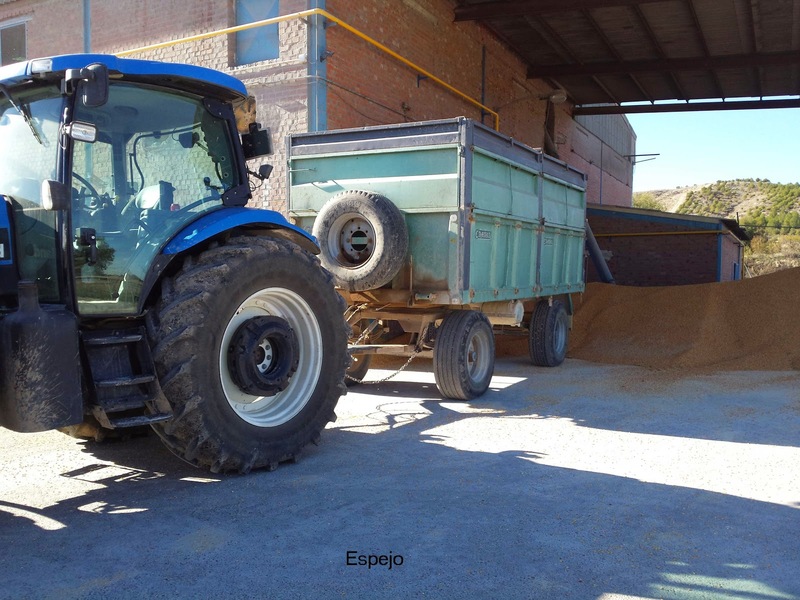 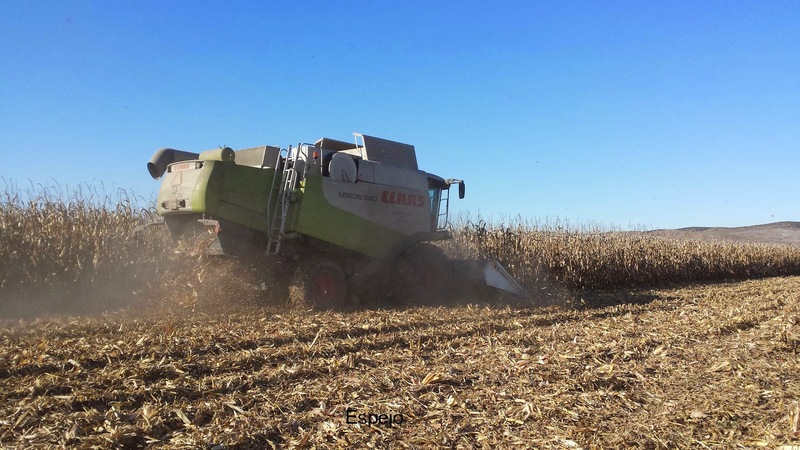 He told us the production has been great (13,080 kg/ha... it is his record), but the price is low (about 165€/t) this year. 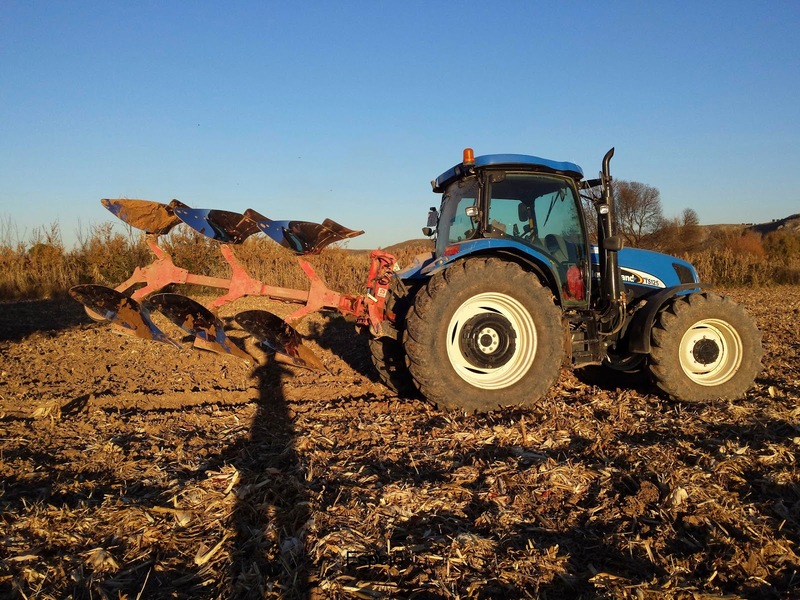 You can see a video from his YouTube channel as well. 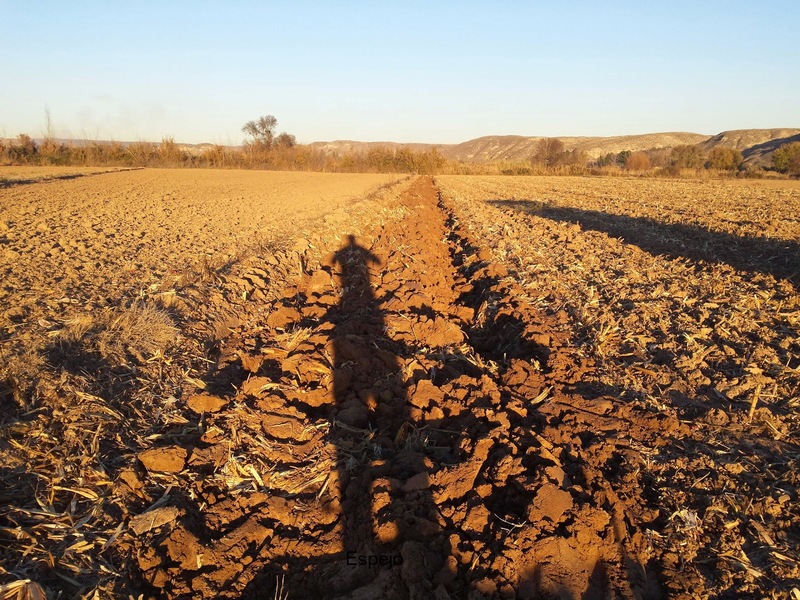 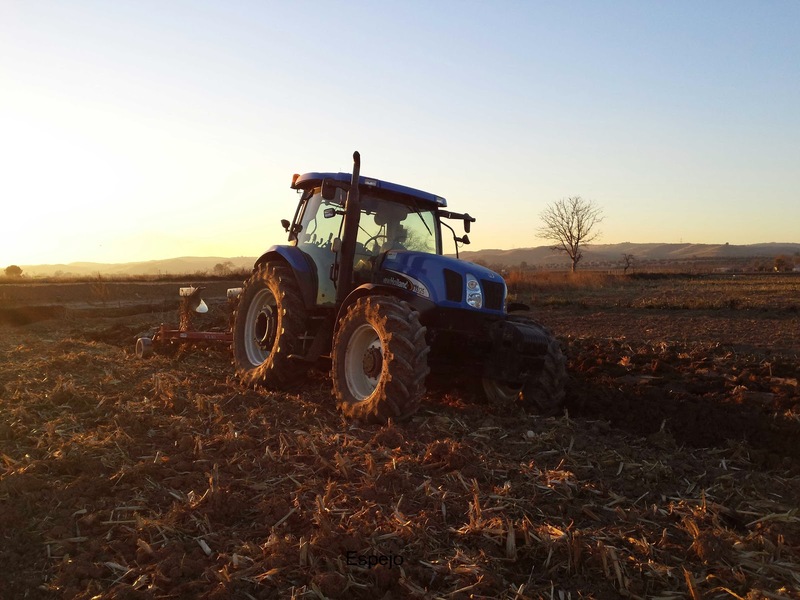 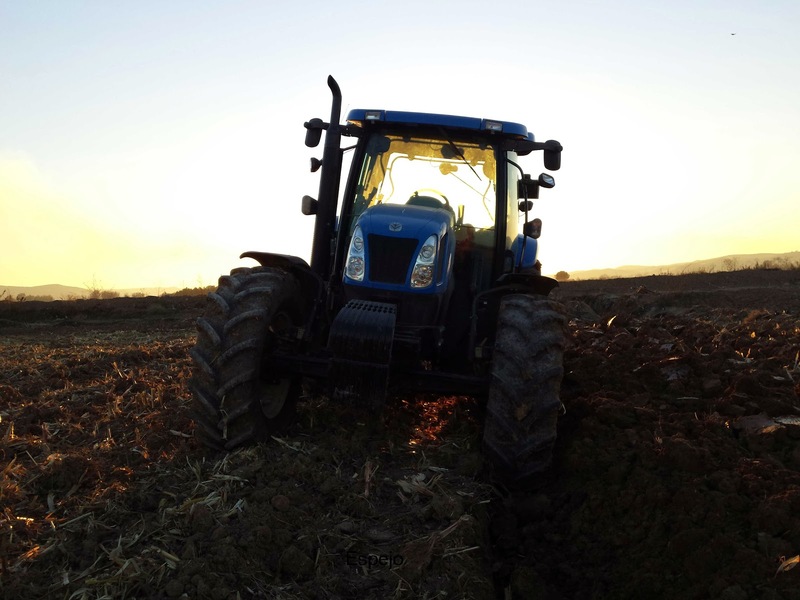 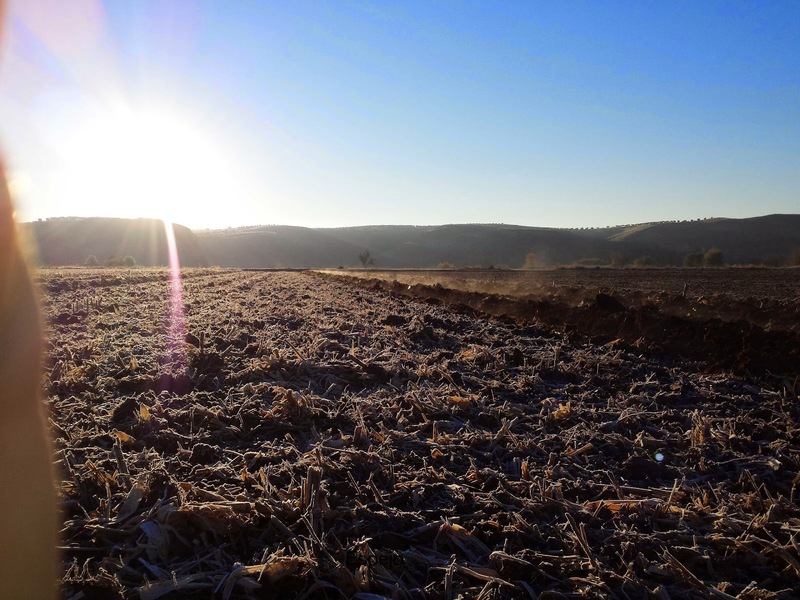 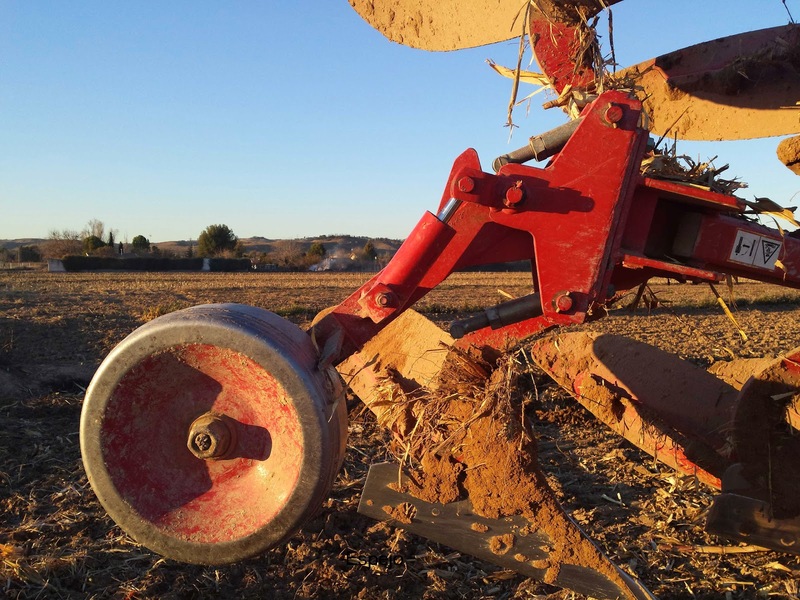 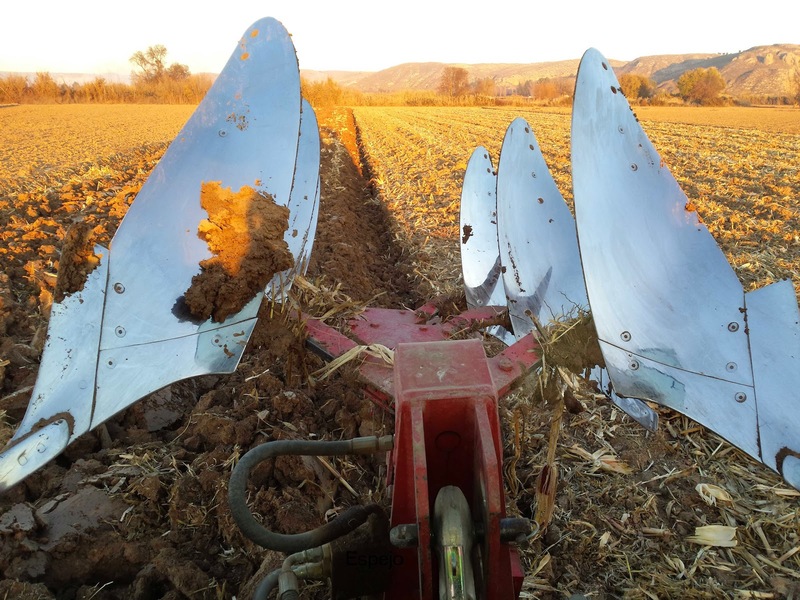 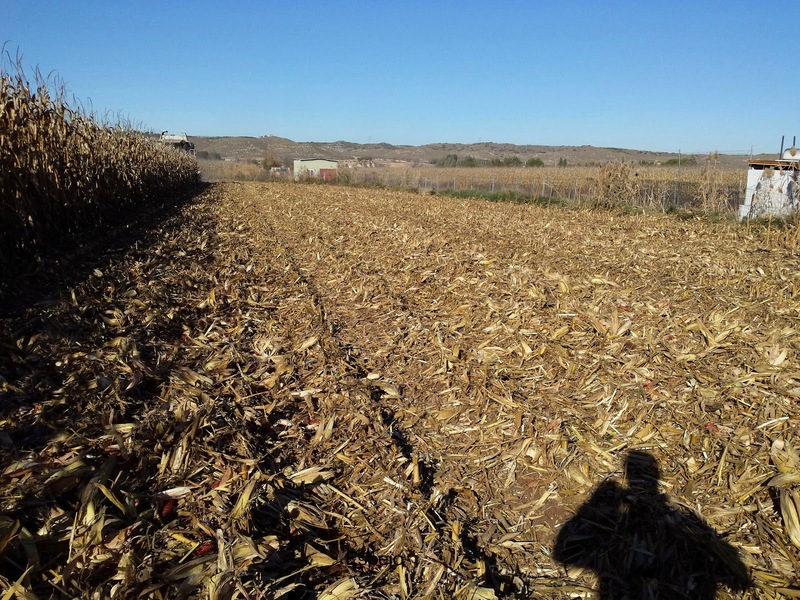 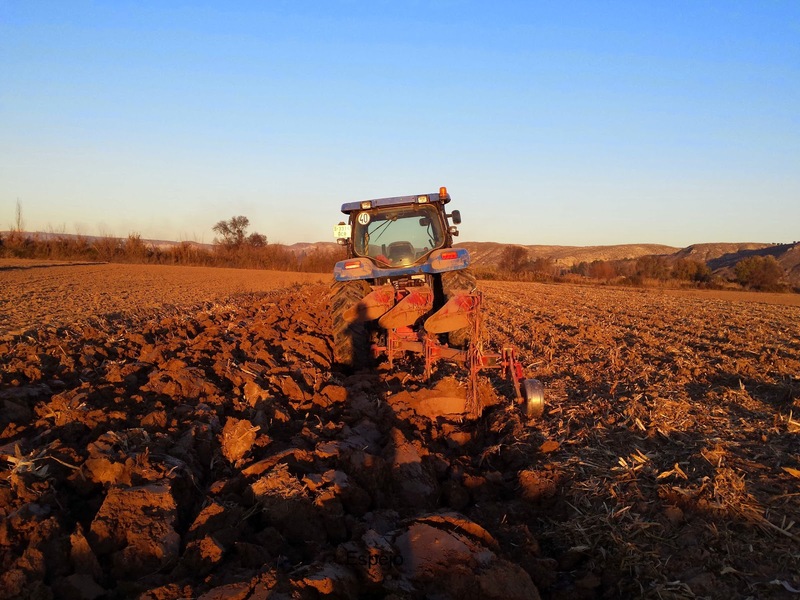 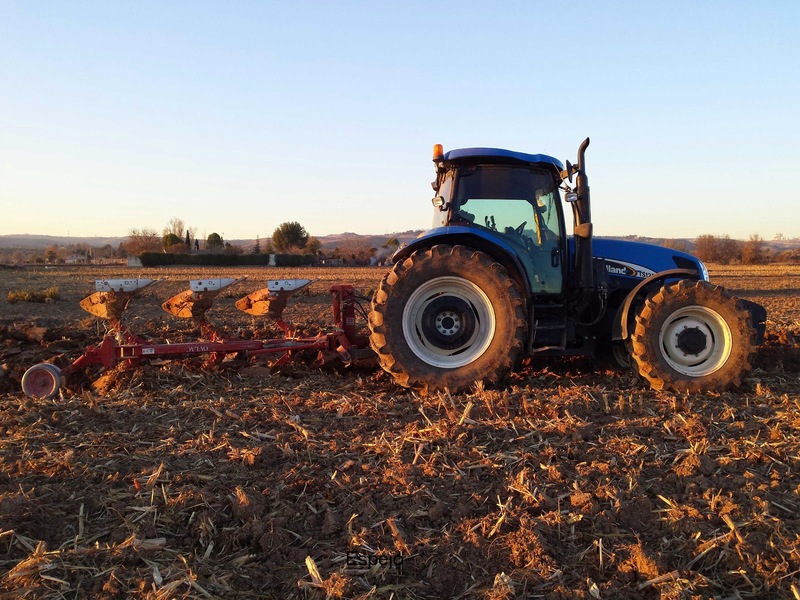 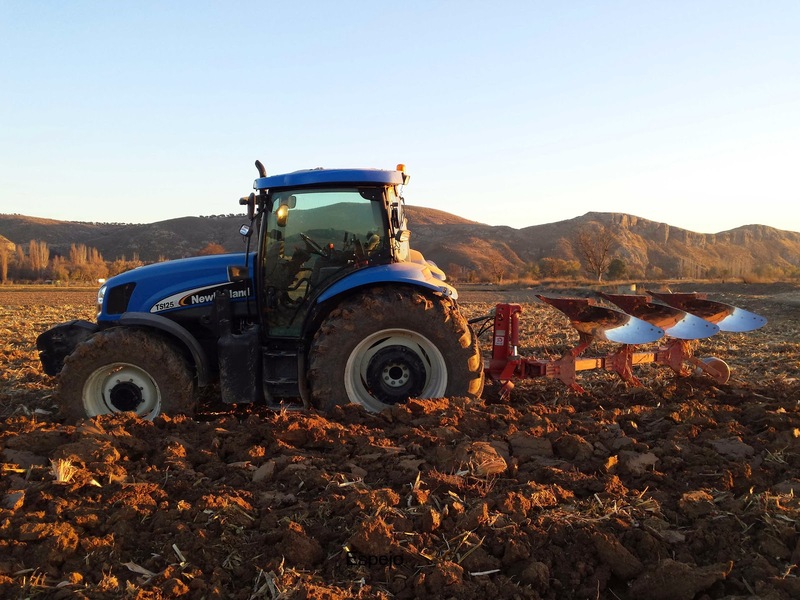 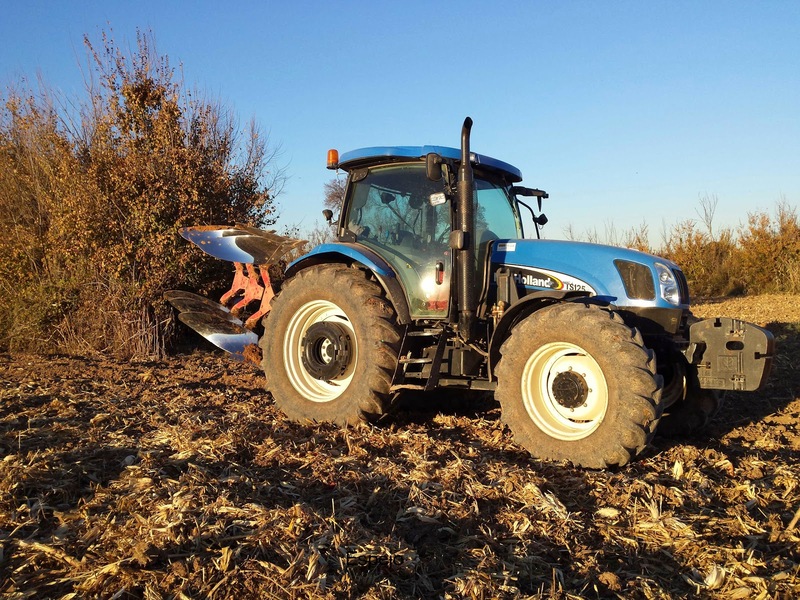 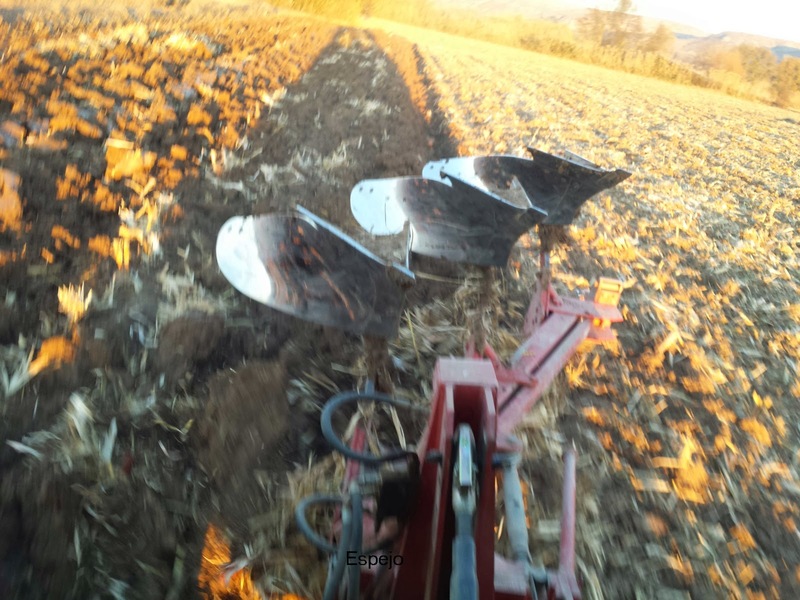 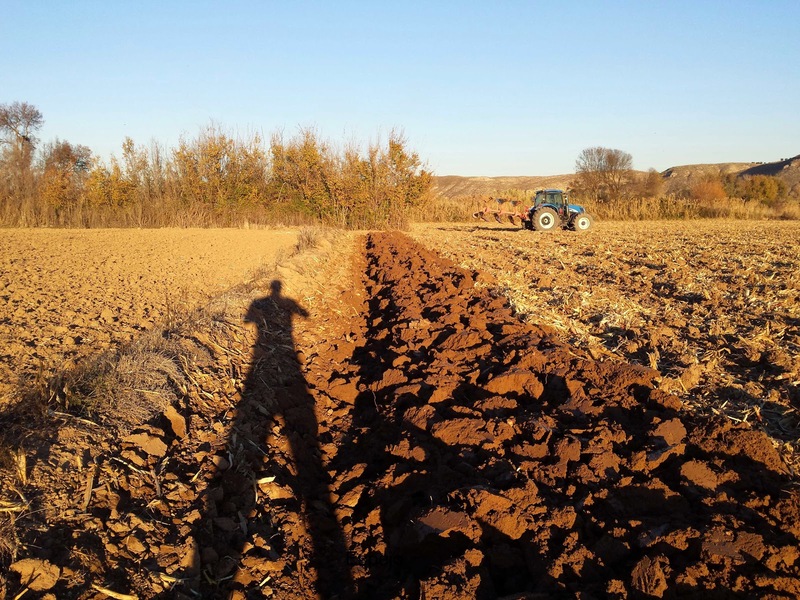 Once he has finished his harvesting tasks, he begin ploughing corn stubbles with the aim of sowing barley (he is going to sow corn again in some fields). 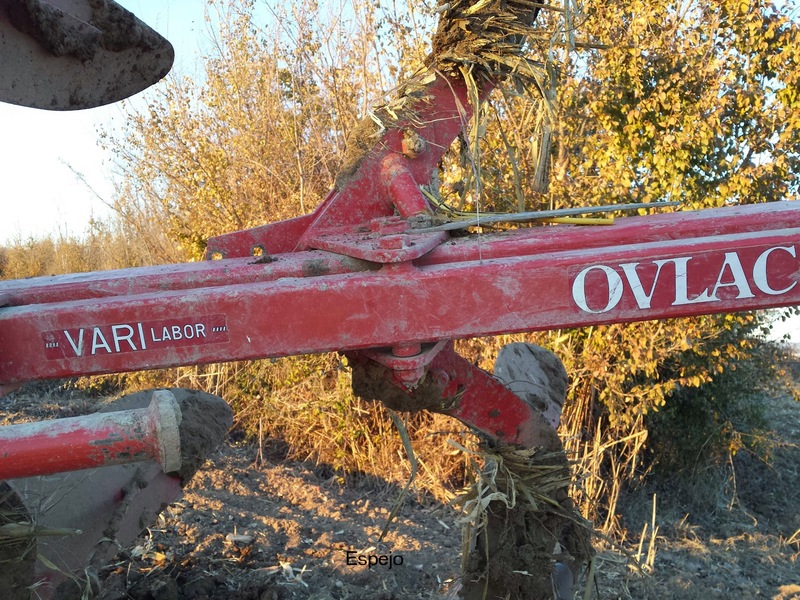 So that, he is working with a Ovlac VARI labor reversible plough of 3 bodies. 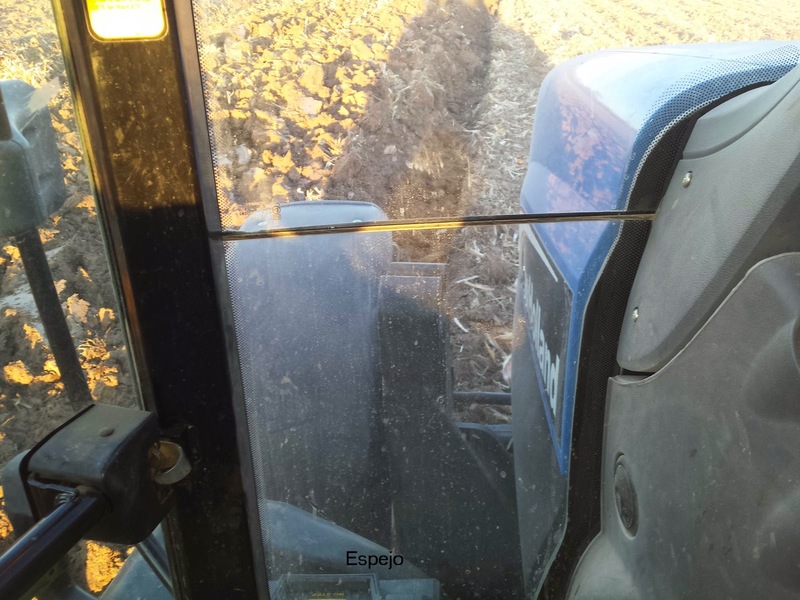 His New Holland TS125A works very fine at 6km/h. 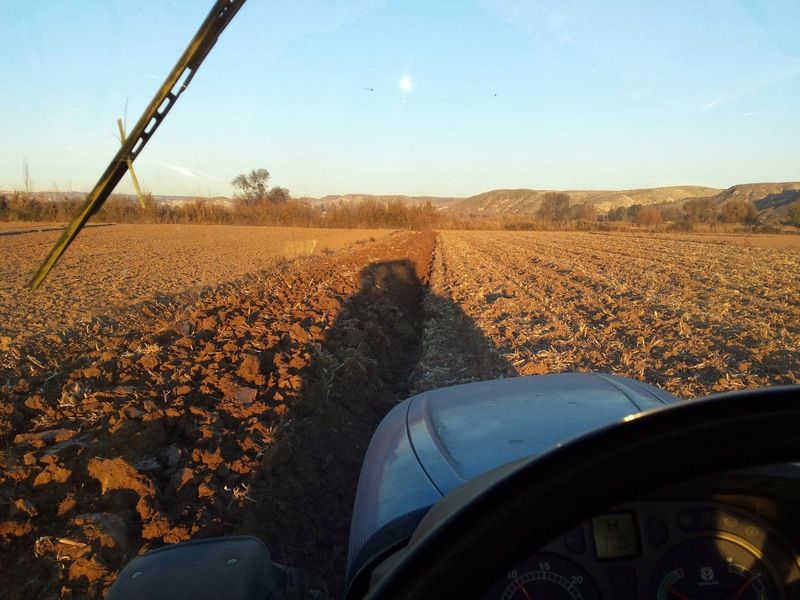 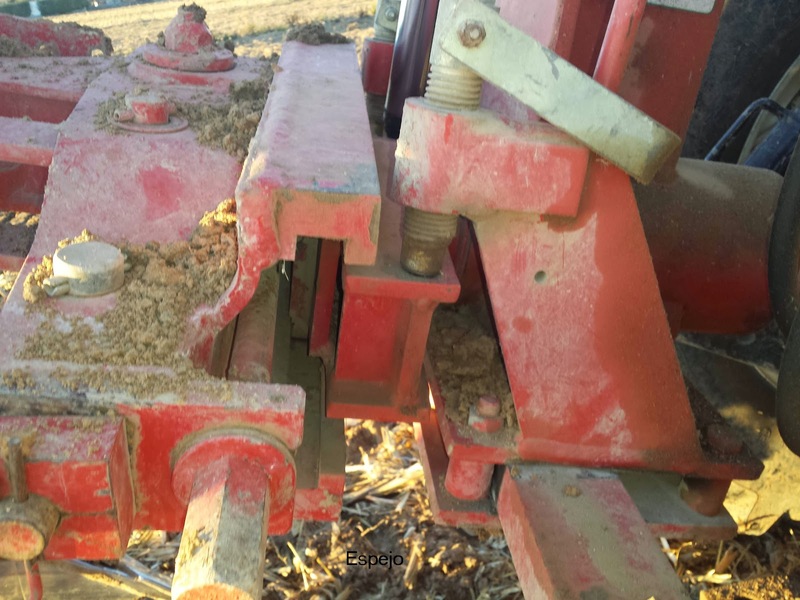 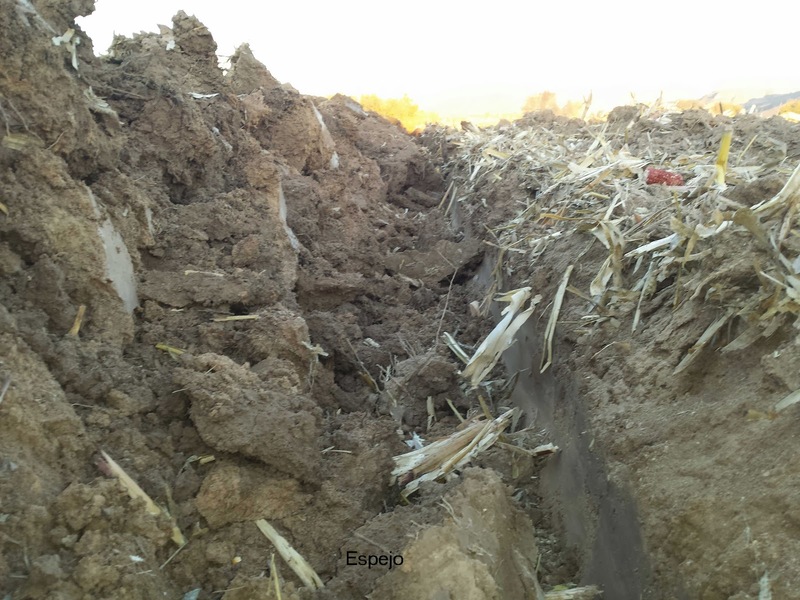 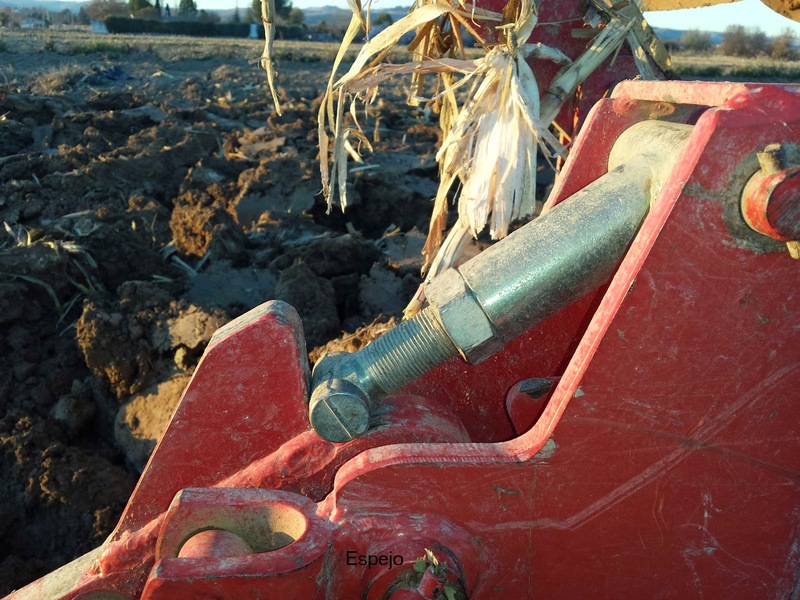 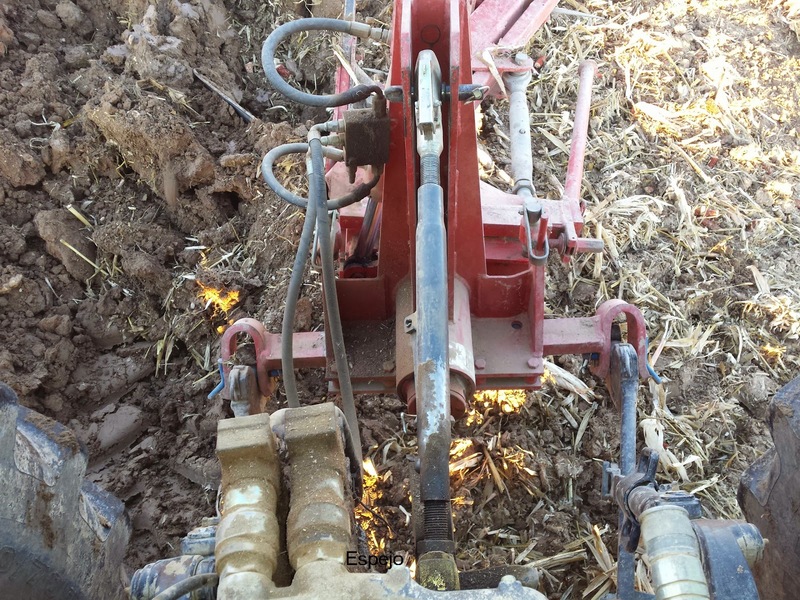 The working width is 2.2m and the working depth is about 42cm so the stubble is turned over completaly. 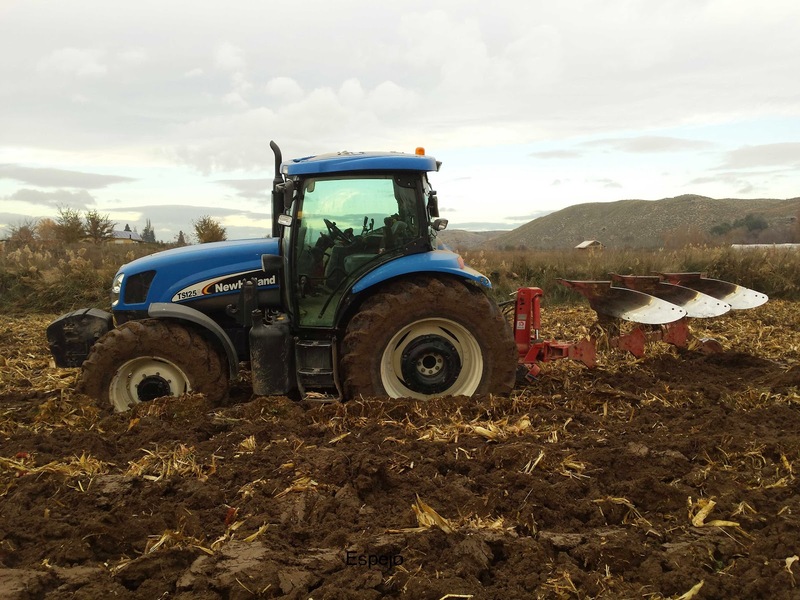 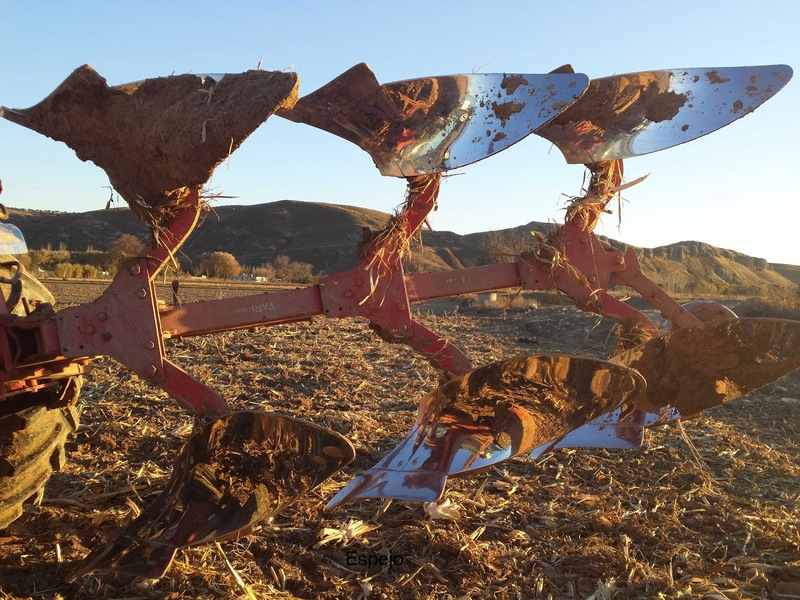 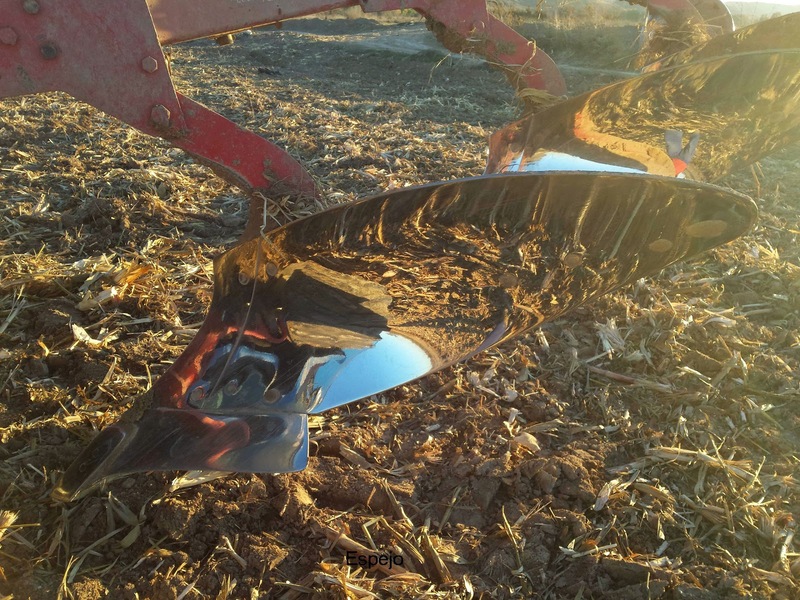 The soil is wet enough, so after some days he is going to fertilize and harrow with chissel plough to begin to sow barley.